Virtual worlds allow players to immerse themselves in a fantasy world where they can design their own avatar, conquer enemies, complete quests, purchase merchandise and socialize with friends. Learn more about the most popular virtual worlds for tweens and teens. If your child has outgrown Club Penguin and Webkinz, consider some of these popular virtual worlds suited for tweens. You should always check out a virtual world website before letting your child participate and use parental controls if available and necessary. Moshi Monsters — Create your own pet monster with a unique personality in this fun cyber pet game tweens love. Moshi Monsters allows you to create a home for your pet and customize it. Online games add to the fun. Wizard101 — Kids who love Harry Potter adore Wizard101. This massively multiplayer online role-playing game (MMORPG) allows players to start as a novice wizard and then accept quests, collect gold and gain equipment as they aim to save the Spiral. 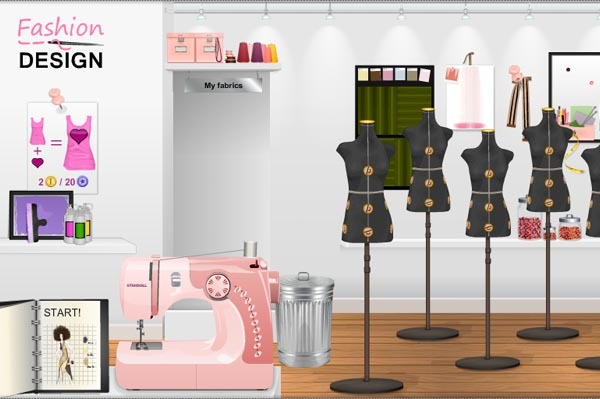 Stardoll — Based on the concept of paper dolls, Stardoll is a virtual world where players dress up dolls, participate in games, create clubs, socialize with friends and more. This popular virtual world website features over 124 million users. SecretBuilders — Players immerse themselves in virtual lands, undertake quests, maintain a home, play games and interact with friends. SecretBuilders features stories, themes and characters (both historical and fictional figures) from literature, art and the humanities. Kids don’t outgrow virtual worlds when they hit their teenage years. Many virtual worlds are geared toward the teenage set and they are gaining popularity every day. Meez — With over 80 casual games and multimedia sharing, Meez is a great site for teens. Avatars can navigate different neighborhoods, interact with friends, leave messages and watch videos. Teens can customize avatars that can be exported to other social networks and gaming sites. RuneScape — The RuneScape world is a medieval fantasy realm where players travel through different kingdoms and cities. Users create customizable avatars, fight monsters, complete quests, play games, chat and trade with others, and much more. Both free and premium memberships are available. IMVU — Intended for the teen crowd, IMVU boasts over 100 million users in 88 different countries and has a virtual goods catalog of over 10 million items. Users can search for people based on gender, location and age or join groups based on interests or personal opinions. SuperSecret — In SuperSecret, players start at age 10 and grow up to age 18 by achieving things in a variety of games. As users get older within the games, they get more privileges — at 16 they can drive a virtual car, at 18 they can vote, etc. Hundreds of other virtual worlds are available. Other popular choices among teens and tweens include ActiveWorlds, Chit Chat City, Fantage, Whyville, Kaneva, Second Life, SmallWorlds and World of Warcraft. Many virtual worlds allow players to purchase in-game currency and merchandise with real world money. For parents who are worried about using their credit cards in virtual worlds, now they have an alternative — Openbucks. Parents who are worried about using their credit cards in virtual worlds can try Openbucks, a good alternative. For parents looking to limit the spending of their teens and tweens, Openbucks seems like a fabulous option.